St Modwen Properties Plc (LON:SMP), today announced a trading update for the period ended 30 November 2018. We have continued to deliver well against our stated strategic objectives. While the external environment remains uncertain and the outlook for parts of the UK property market is challenging, our two key sectors, industrial/logistics and regional housebuilding, continue to see structural growth. Our successful disposals have reduced our see-through net borrowings by over half over the past 18 months (May 2017: £580m), leaving us well placed to accelerate the delivery of our substantial pipeline in the years to come. Meanwhile, the short cycle nature of our projects provides us with flexibility to adjust our pipeline in the event of any unexpected changes in demand. We have exceeded our disposal targets for 2018 comfortably. Last week we completed the £72m sale of Edmonton Green shopping centre, which means we have now sold over half of the retail portfolio we owned at the start of the year for a total consideration of £177m, on average less than 1% below book value. We also sold 36 small assets for £48m (our share), taking total proceeds from retail and small asset disposals to £225m; almost double the £100-150m we initially targeted for the year. Combined with the first phase student accommodation sale in Swansea, the PRS forward-sale in Uxbridge and the sale of £72m of land, total disposals for the year amounted to £529m, on average in line with book value. The large volume of disposals during 2018 will reduce our rental income in 2019 but, assuming market conditions remain stable, we expect the impact on adjusted EPRA earnings to be more than offset by further growth in housebuilding profits, rental income from new developments as they are let and a reduction in interest costs. Since we announced our new strategy in June 2017, we have now sold £814m of assets (excluding new-build homes), representing over 40% of our starting portfolio, providing ample financial capacity to deliver on our growth plans whilst maintaining a conservative level of leverage. 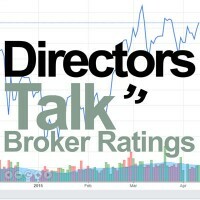 We will continue to reposition our portfolio towards assets and sectors with the strongest structural growth prospects but, following the positive progress to date, the volume of disposals is set to moderate from here. We have continued to accelerate our commercial development activity and currently have 1.5m sq ft of committed industrial/logistics projects, up from 1.0m sq ft at the start of 2018. We delivered 0.9m sq ft of industrial/logistics space during the year, of which 0.3m sq ft was pre-sold. We continue to experience good occupier interest and we agreed terms on £4.9m of development lettings during the year, representing 0.6m sq ft of space. Although there is a time-lag between the large volume of recent disposals and the delivery of new developments, the ERV yield on incremental capex on our pipeline of c. 9% remains well ahead of the blended c. 5-6% net yield on our disposals (excluding land disposals). As such, recycling capital into our pipeline is expected to deliver a substantial increase in rental income over time. We continue to see good demand in St. Modwen Homes. Sales volumes increased 22% to 848 units (2017: 694 units), in line with our objective to grow volumes by up to 25% p.a. by 2021, and we are now sales active on 22 outlets (2017: 16). Operating margins improved as planned so, as expected, growth in St. Modwen Homes profits has more than offset the scheduled reduction in Persimmon JV profits. Our focus on the regions, where affordability is better, leaves us well placed to further grow St. Modwen Homes volumes by up to 25% p.a. Reflecting this, our forward order book is up 21% compared to this time last year. Third-party housebuilder demand for residential land remains robust. Including one land sale which has exchanged and is expected to complete shortly, we sold £53m of land, broadly in line with the £56m we sold last year. We remain focused on monetising the value in our land bank. We have continued to advance our major regeneration projects. Following the release of £141m of capital from the initial phases of development at Swansea and Longbridge during the first half of the year, in the second half Longbridge saw a start on site of the next phase of 215 new homes delivered by a third-party housebuilder, whilst at Swansea we completed the latest phase of forward-sold academic facilities and are on track to complete the latest 411 student beds in early 2019. Following the marked reduction in net borrowings during the year, last week we redeemed our £80m 6.25% retail bond which was scheduled to mature in November 2019. This results in a c.£3m one-off reduction in net profit in 2018 but will lead to a similar improvement in interest costs in 2019. We also recently signed a £75m seven-year loan facility with Homes England, which is extendable to up to ten years, and will support our objective to grow our residential and house building business. 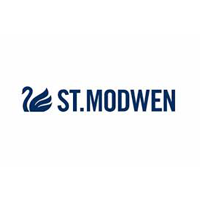 ST Modwen intends to announce its results for the full year on 5 February 2019.